Super Savings Item! Free Shipping Included! 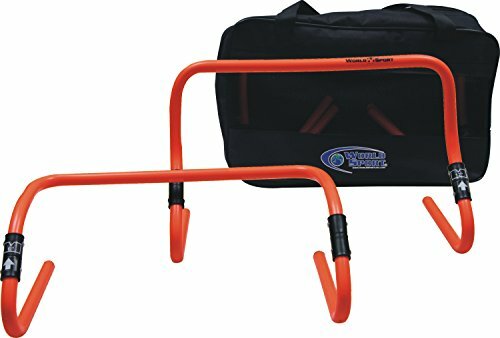 Save 38% on the World Sport Adjustable Agility Hurdle Set by World Sport at Oregon Lacrosse. MPN: WSAAH612. Hurry! Limited time offer. Offer valid only while supplies last. Designed to develop quick feet, these hurdles teach agility and quickness which are crucial for quality play on both offense and defense. Designed to develop quick feet, these hurdles teach agility and quickness which are crucial for quality play on both offense and defense. Multi-directional training will develop forward, backward and lateral speed. These hurdles are used to train NFL, and NCAA Athletes. ADJUST FROM 6 TO 12 INCHES.